I had this phone for almost 2 years and my recommendation is DON'T buy it. Like the people before me, GPS is a real issue. I had it sent in service 6 times and all the time returned with the same problems. After a clean reset the device is working properly, GPS and etc BUT the problem is after you make the automatic updates of the core applications. After these updates GPS "dies" 100%. I also had a problem with the mobile data, which were disconnecting at random. Another problem is the PIN protected automatic messages you receive from your phone company for configuring the mobile data connection. I looked into the user manual and asked the phone company for this PIN. Seems this is quite a riddle. Don't buy it. You will have a good feeling in the beginning but after problems emerge you gonna hate it. GPS is not working, not even after i went with the phone 2 times in service and touch screen is also not acurate. Anonymous, 14 Jul 2014How can you guys say that it has a good battery life. I have an HTC One S which was released 1... moreThe battery life is great. Mine lasts about 2 days using internet all the time. I sometimes use it for 3 days. Phone it's very good, but it have only one problem.. A HUGE problem for me ,the GPS sistem it's horrible, with GPS status ,after 1 MIN wait i recieve 5 satelites and about 25 meters acuracy, that's happen outside, in house, after 15 MIN 0 sattelites... Now , for me GPS it's very important but maybe for you GPS it's just a useless option, you can make the choice. How can you guys say that it has a good battery life. I have an HTC One S which was released 1 year prior and with half the battery 1600 but it has 10.5 talk time hours while this one only has 8.
cristi333, 23 Mar 2014In have this phone from tow mounts and i have problems with GPS connection. I sand the phone t... moreCristi do you have any idea if the gps issue can be fixed? I have the same problem even after phone camed back from service. Worked only 3 days. 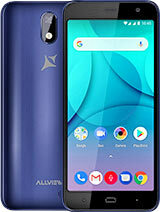 This phone is actually impressive, it has the best battery life I've ever seen, it's very fast in every way you'll use it, it has a sweet spot of 4.5 inches and you can use it with one hand, I love the matte back. The camera performance is ok but not extraordinary, medium photos in low light, very good photos in day light. 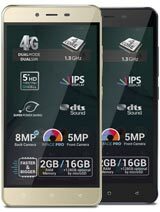 i wonder if this phone alview x1 soul MINI works eficient and function in USA??? 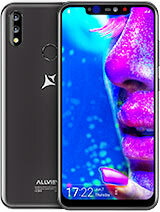 Although a good performance package, the quality built of the Allview X1 Soul mini is preaty rubbish. The case is very slippery, the surface is wearing realy quick, the slots and buttons are wobbling a lot. 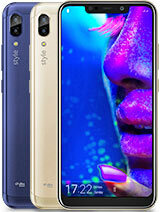 AnonD-228229, 28 Jan 2014This is a very nice phone with nice design good spect and low price. I like it !In have this phone from tow mounts and i have problems with GPS connection. I sand the phone to warranty and after they resoft the phone I can connect to GPS but only for a few days. 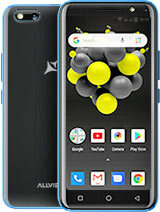 I have another phone ZTE Grand X in and with this phone i can connect too GPS whenever I won't and using IGo i only need GPS without data connection. I bought this phone this week. Since I only paid around 220 eur for it, I was expecting much less than I actually received. It's an extraordinary piece of equipment, it's fast as lightning, and excepting games (which I never played on my smartphone), the user experience is marvelous. Even with Facebook, Whatsapp, Gmail and browser apps all active, my memory load was at around 78%, so it can surely take more. It has intelligent widgets which help you take maintenance actions, and also make your life easier. But, maybe the most impressive factor was its battery life. With the phone worked around hard at around 6-7 hours per day, it can last 3 days, which gives it an A+ in my book! Han's, 29 Jan 2014Very good phone.... But only in europe? I check it out, it is romanian company? Where to ... moreYes Allview is a romanian company. 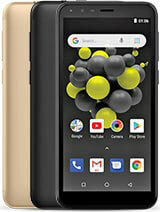 This is a very good phone produced by a romanian company! 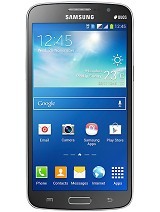 This summer I will buy this phone.